Another New Employee for Inspira! We’d like to give a warm welcome to our newest employee Jennifer Williams! 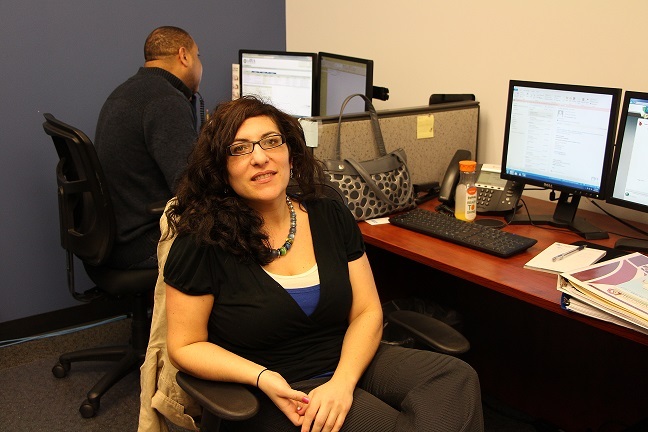 Jenn is joining us from Equifax in Moon Township where she worked as a Vendor Manager of appraisals. Jenn also has experience from working as an appraisal representative for Lenders Services. She is the newest addition to the Inspira team and will be taking on the role of a Customer Service Representative. She will be working with Collin and Kathy who just joined the team not too long ago themselves. Let’s get to know Jenn a little better! She is the mother of a 12 year old son who will be celebrating his 13th birthday on May 5th, Cinco de Mayo! Her son is a seventh grade honor student and athlete who loves baseball. Jenn is an outdoors enthusiast who loves to take bike rides and walks. She also enjoys being with friends and watching movies on a rainy day. When she’s not busy with these other activities, she’s scouring the Food Network channel for great baking tips. She says cupcakes are her specialty… Maybe we’ll get to try some one day! As a new addition to the Inspira team, Jenn will be working in our temporary office space while the renovations continue to move along. Everyone, please offer Jenn a warm welcome to the ABG Capital family! This entry was posted in New Employee and tagged ABG Capital, Inspira, New Employee, Office Build-Out, Welcome by Natalie DeCario. Bookmark the permalink.